Qalo Ring 5 LegallyFit Rating Last year, my husband and I were on the hunt for a substitute wedding rings that we could wear for all of our daily adventures – Crossfit, lifting, hiking, yoga, swimming, bathing our small human (also known as our son), just everyday life! 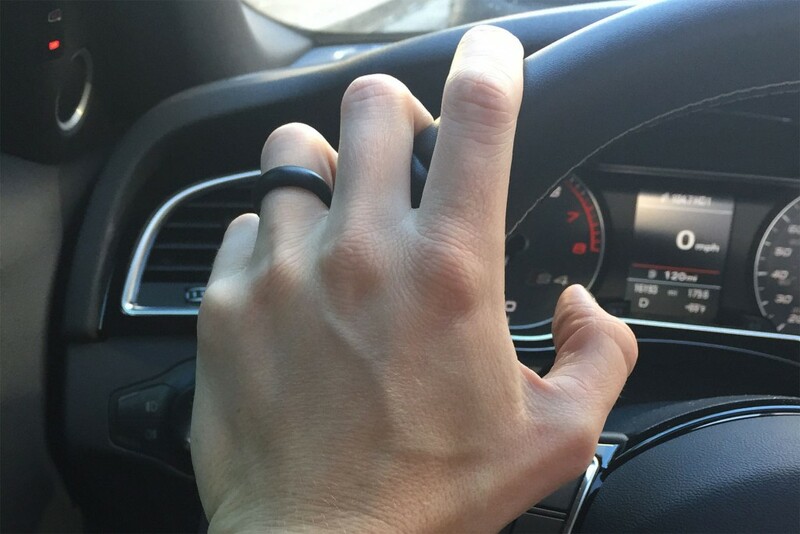 As an active person, I was spending at least part of my day sans wedding ring during a workout or while doing things around the house. I didn’t like this feeling. Needless to say, I went on the hunt for the solution and found the QALO Ring (pronounced Kay-lo). QALO stands for “Quality, Athletics, Love, Outdoors” and is the brain child of two active men who, after getting married, realized that it was a nuisance wearing a traditional wedding band. QALO Rings are designed so that they can be worn in virtually any situation. In fact, a number of firefighters and military personnel wear them for that very reason. The womens rings start at just $15.99 and mens rings at $19.99. For that price you can’t help but try them. Also, they ship unbelievably fast. I recently ordered a second QALO Ring and received it in three short days. QALO makes their rings out of 100% medical grade silicone which is extremely durable, water-resistant, fireproof, and even mildew-resistant. 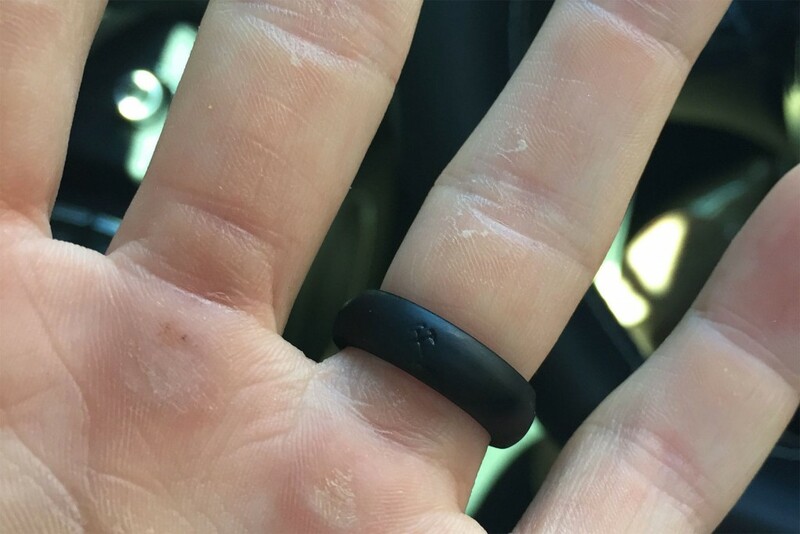 After wearing our QALO rings for a year, we have tested it in a number of environments – doing pull-ups, lifting, swimming, running, cooking (operating near heat sources), virtually every situation possible, and we LOVE them. 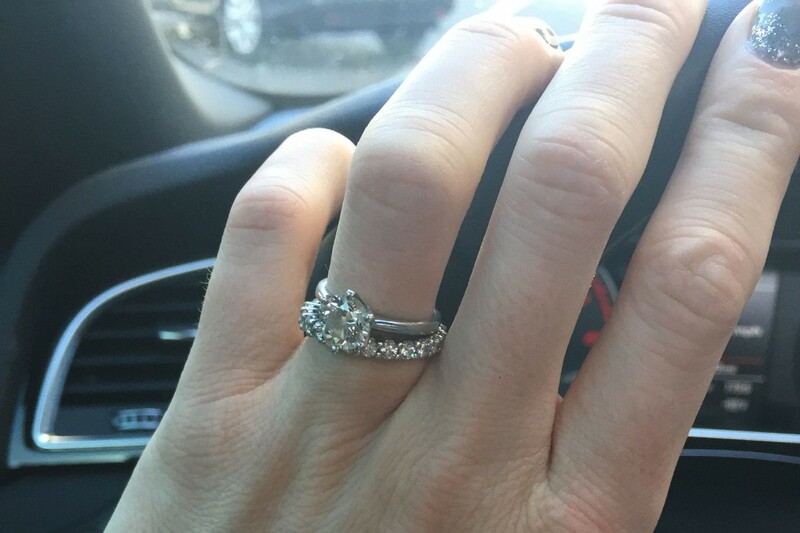 Since purchasing his QALO Ring, my husband no longer wears his traditional wedding band at all. The QALO is just more comfortable and there is no need to take it off. Give them a try and let us know what you think. I bet you will be surprised at how much you can do with the QALO Ring that you cannot do in a traditional wedding band. I wear my QALO in every workout – yoga, CrossFit, you name it! My non-workout ring – not as comfortable. The QALO Ring goes with everything – you could get away wearing it everywhere.